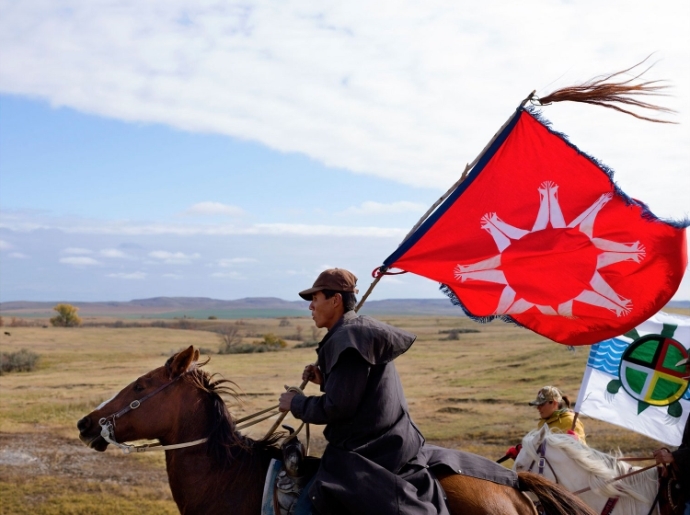 Standing Rock’s main camp is growing, and its leaders say they won’t be moved. 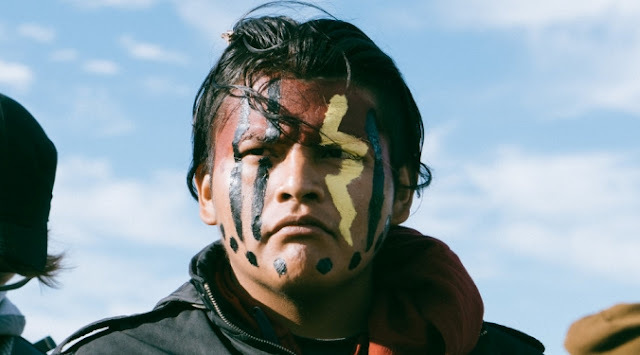 Water protectors (Not Protesters) are opposing the construction of the Dakota Access Pipeline, which they fear will contaminate the water supply (Water Is Life) in the region and disturb sacred Indigenous burial grounds. “I haven’t gotten notice that forces are coming [to evict the camp],” he (Sioux Tribal Council Chairman Dave Archambault II ) told media Saturday. He believes the protectors can stay as long as they remain peaceful. As he drove toward the camp on Friday, the chairman gestured to a 50-acre area of tribe-owned land across the street from a gas station he owns. As winter nears, he said it’s becoming a safety issue, and he plans to build earth lodges for those who want to move away from the current camp. Now that the question of liability has come up, he hopes this will show the tribe is taking responsibility for the safety of its guests. The term “camp” feels inaccurate now. Instead, the area resembles a densely packed small town. There are still tents and camper vans, but increasingly, wooden structures insulated by hay bales are springing up. People are digging in. The summer days of Standing Rock are gone and winter is knocking. Smoke from chimneys and fires cloak the camp in a veil of smoke. Bundled in parkas, hats, scarves and gloves, protectors and allies huddled around one of two sacred fires Saturday morning. One woman clutches a sheepskin around her. They sip steaming mugs of coffee, brewed by volunteers at a nearby stand. Responses to "Not going anywhere: We are here to protect sacred land and water"